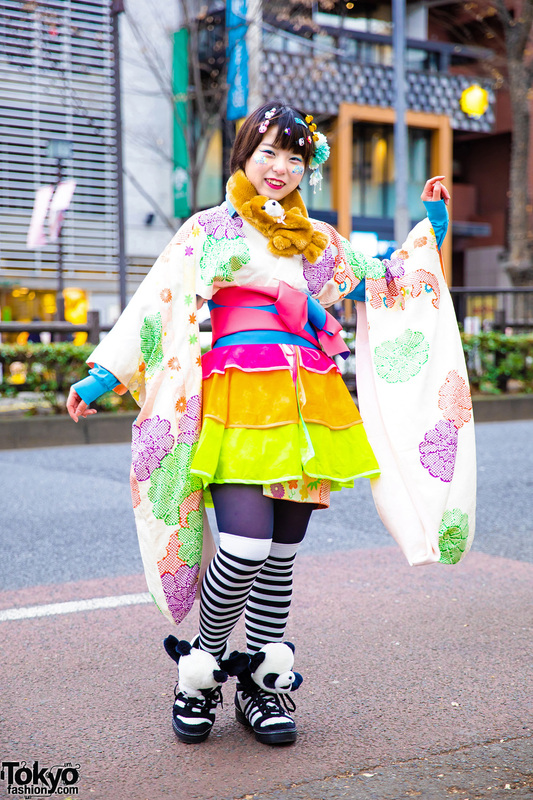 Harajuku girls in yellow and red suits wearing high brand accessories and white Adidas sneakers. 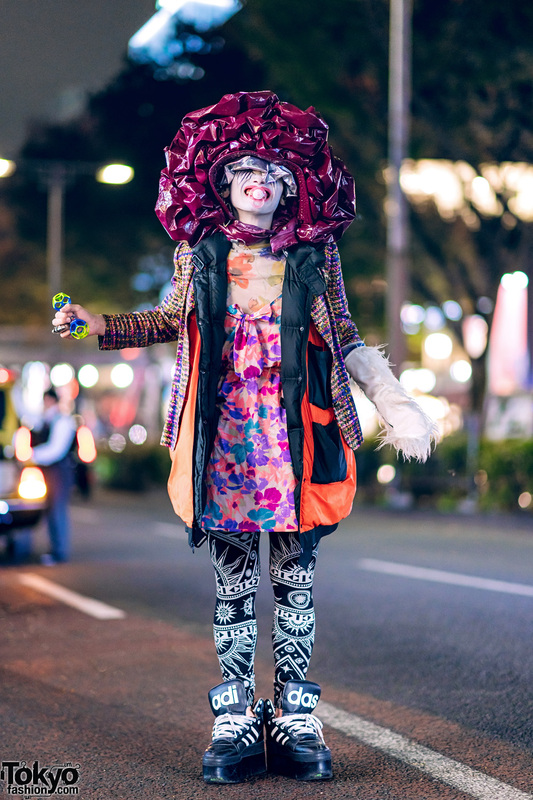 Japanese fashion designer sporting an extreme streetwear style while out and about in Harajuku. 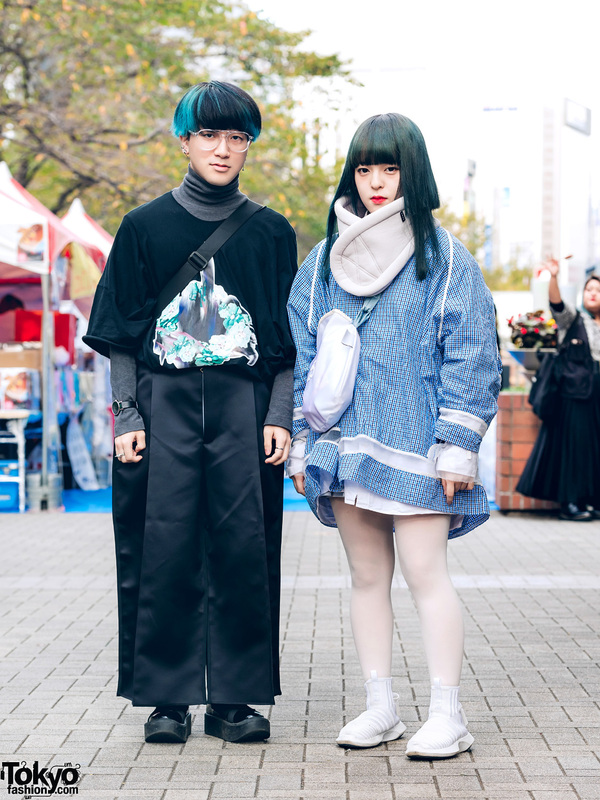 Harajuku couple sporting colorful winter street styles with matching handcuff necklaces while out and about on the street. 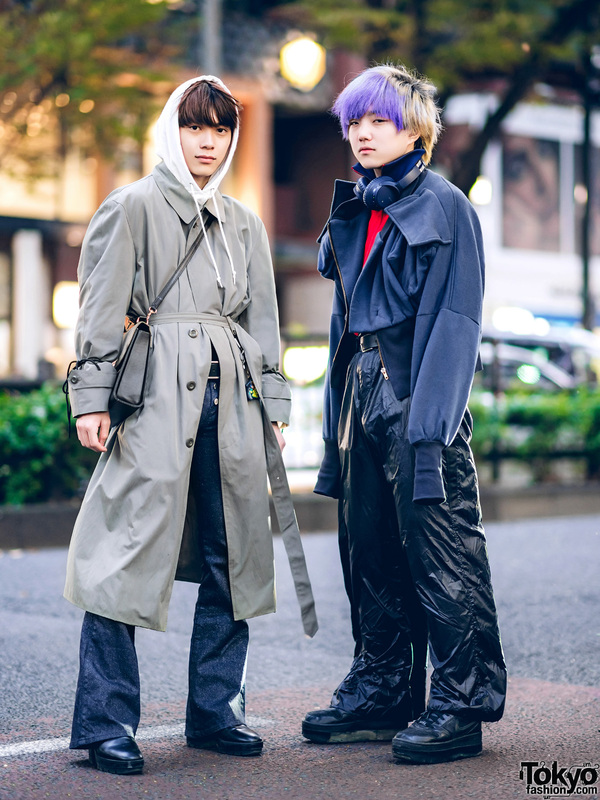 Harajuku guy wearing a zip-up jacket and printed pants with mesh overlay. 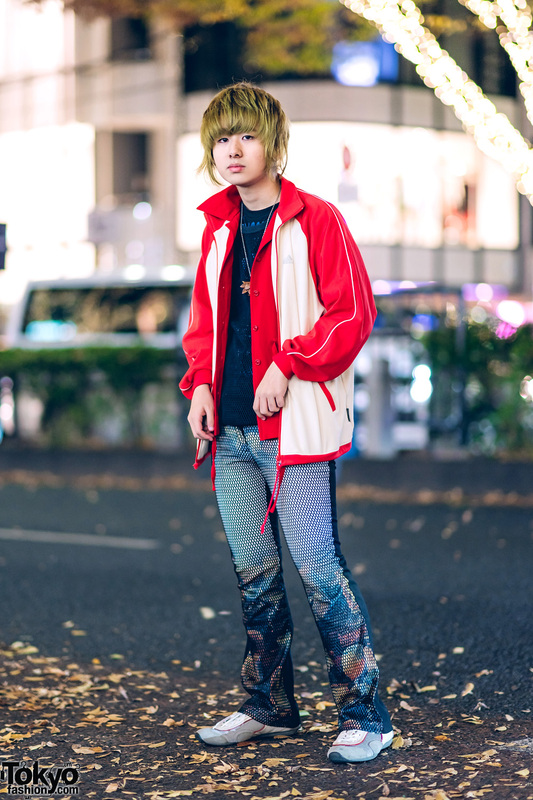 Japanese student in sporty chic street style while out in Harajuku. 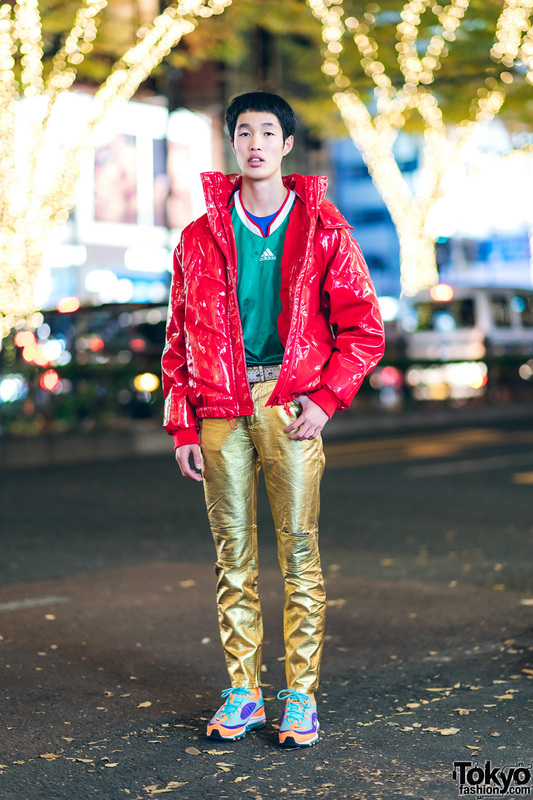 Harajuku streetwear with vintage gold pants and red vinyl jacket.